Do you want to see 218 kilometres of coastline with calm waters and fine white sand beaches? You will see mountains that loom over the Mediterranean, fruit groves and palm groves. In eastern Spain, in the province of Alicante, 2800 hours of sun a year await you. Arrival at Valencia Airport or Alicante. Transfer to the hotel, check-in and dinner at the hotel. 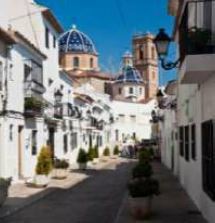 After breakfast departure for the visit of Altea, a charming village known as the “white city”. Walk in the alleys to the church square, with its blue and white dome. Admire the panoramic views. 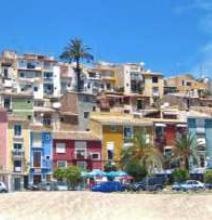 After lunch at the hotel, departure to Villajoyosa to discover these colorful houses and ramparts. Discover its fortified church, with its religious forms adapted to the defensive function. Departure from Altea to Alicante for a panoramic tour and a walk to discover the old neighborhoods: town hall, cathedral, etc. Free time on the Explanada de España. Depending on the weather, you can visit the museum of Volvo or the fires of St. John. 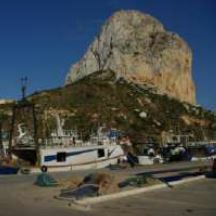 Lunch at the hotel, then discover Calpe located at the foot of the Peñon d’Ifach, a rock of 332 meters high. Discover the ancient walls, the tower “Peça”, the old church, etc. Then, a panoramic tour to discover the old salt marshes, the Queen’s baths, the tourist area and stop to admire the harbor. After breakfast, head for the village of Castell de Guadalest. It is an impressive site, entrenched for its defense on a rocky ridge. The village is accessible only by a tunnel carved in stone, a veritable natural defense. From above discover magnificent landscapes. Lunch at the hotel. 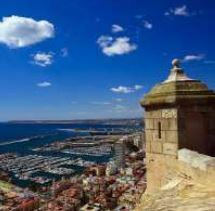 In the afternoon panoramic tour in Benidorm, known for its long sandy beaches. Stop near the harbor for a walk in the old quarters and free time. 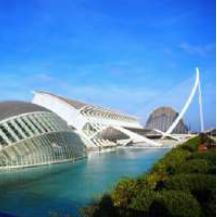 Departure from the hotel towards Valencia for a panoramic tour of the city followed by a walk in the old quarters, The Silk Exchange, the Central Market, outside the cathedral, the Basilica of the Virgen de los Desemparados (Patroness of the city). Lunch break in a restaurant. Discovery of the exterior of the City of Arts and Sciences. Possibility to visit the museum of Fallas. Departure from the hotel for a guided tour of the old town of Gandia, the Mediterranean Sea on one side and the mountains on the other. This old ducal town has a rich past that you will find by discovering the Ducal Palace (possibility to visit the palace) and the old university. Lunch at the hotel and free time in the afternoon. Breakfast and check out. 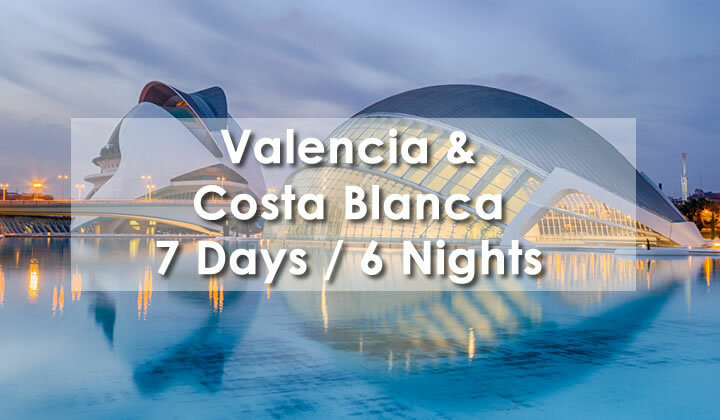 Transfer to Valencia or Alicante airport.